When you hire a professional drone operator it’s important that you are confident that they can meet your requirements. We make it a priority to ensure that we can keep shooting as long as you need us to. In order to do that we have to have confidence in the equipment that we use, which is why everything is thoroughly tested and regularly maintained. Sometimes thought, things happen that are outside of our control so we believe it is also very important to carry spares of everything. We carry a full range of backup equipment, including a backup Inspire 2 on all day rate bookings. Our primary sub 7Kg drone is the DJI Inspire 2. It is by far the best option in this weight category, providing unrivalled image quality and flight characteristics. 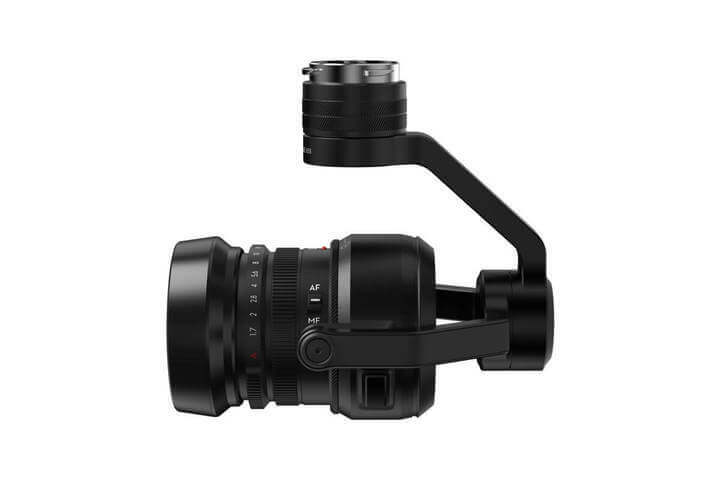 The Inspire 2 can record RAW video at up to 4.4Gbps in either CinemaDNG or ProRes. 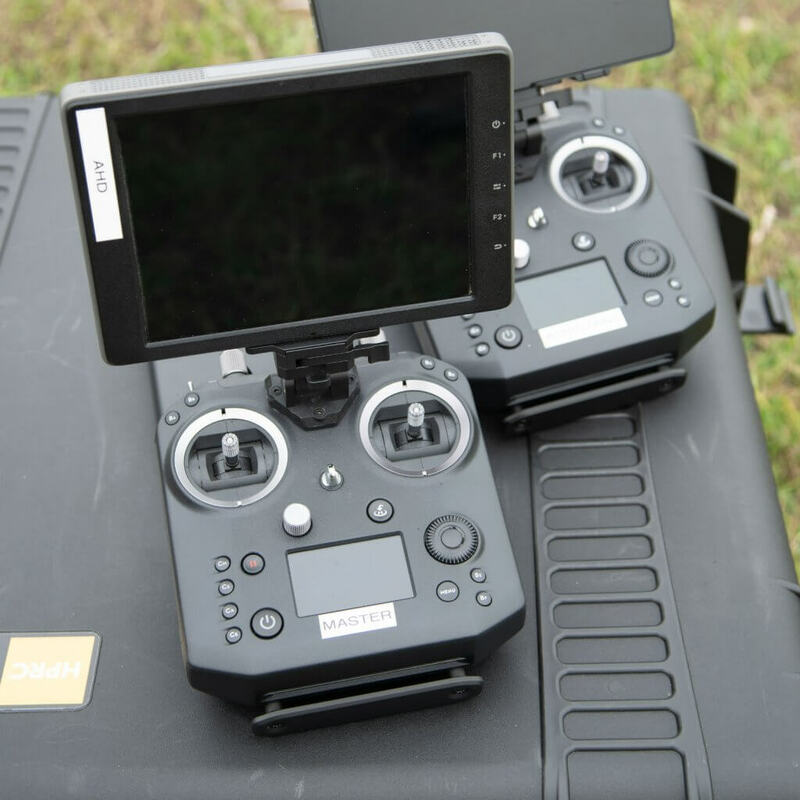 All of our Inspire 2 aircraft have licenses for both CinemaDNG & ProRes. Our primary Inspire 2 is fitted with a Ballistic Recovery System. Our primary Inspire 2 has been specially modified to include a Ballistic Recovery System. The systems can fire two parachutes in under 0.5 seconds and also shuts off the motors at the same time. 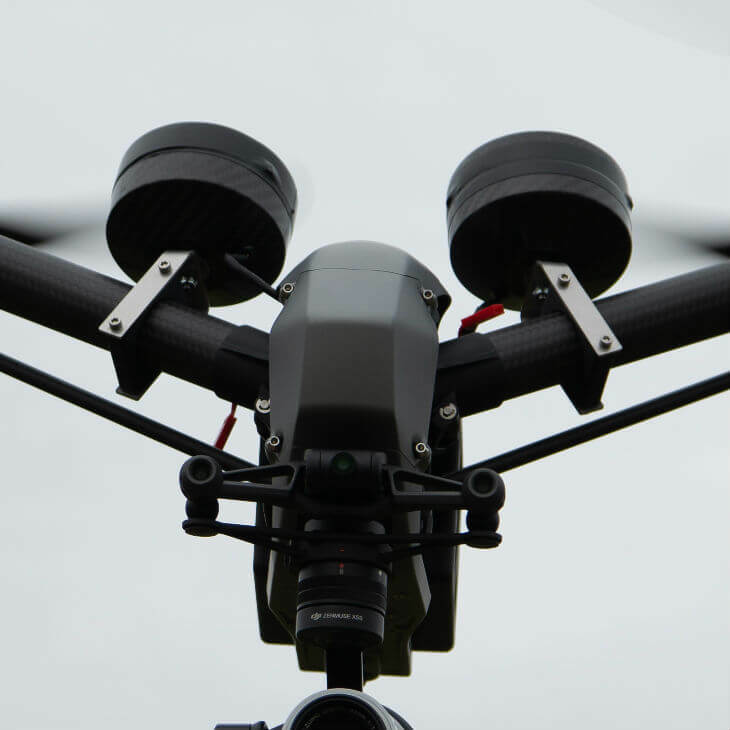 This allows us to confidently and safely overfly in certain situations. Our backup drone is also an Inspire 2. It doesn’t include the Ballistic Recovery Systems that our primary Inspire 2 has which means it can’t be used to fly over people, but it’ll do 99% of what our primary Inspire 2 can do. We carry a backup Inspire 2 on all day rate bookings. The X5S is our default camera of choice. It has a micro four thirds sensor capable of shooting up to 5.2K CinemaDNG RAW at up to 4.0Gbps. It has a number of lens choices from 12mm up to 45mm which when you take into account the 2x crop is the equivalent of a 90mm. This can enable us to get some beautiful helicopter style cinematic shots. 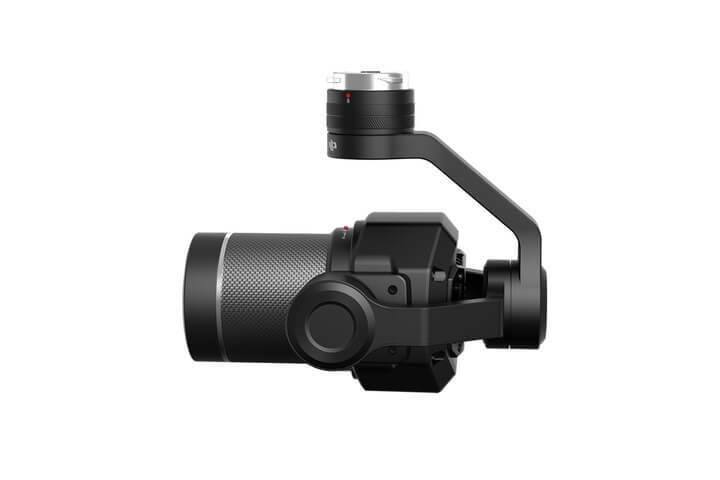 The X7 is our premium camera option. It has a Super 35 sensor capable of shooting up to 6K CinemaDNG RAW at up to 4.44Gbps. It too has a number of lens choices from 16mm up to 50mm. 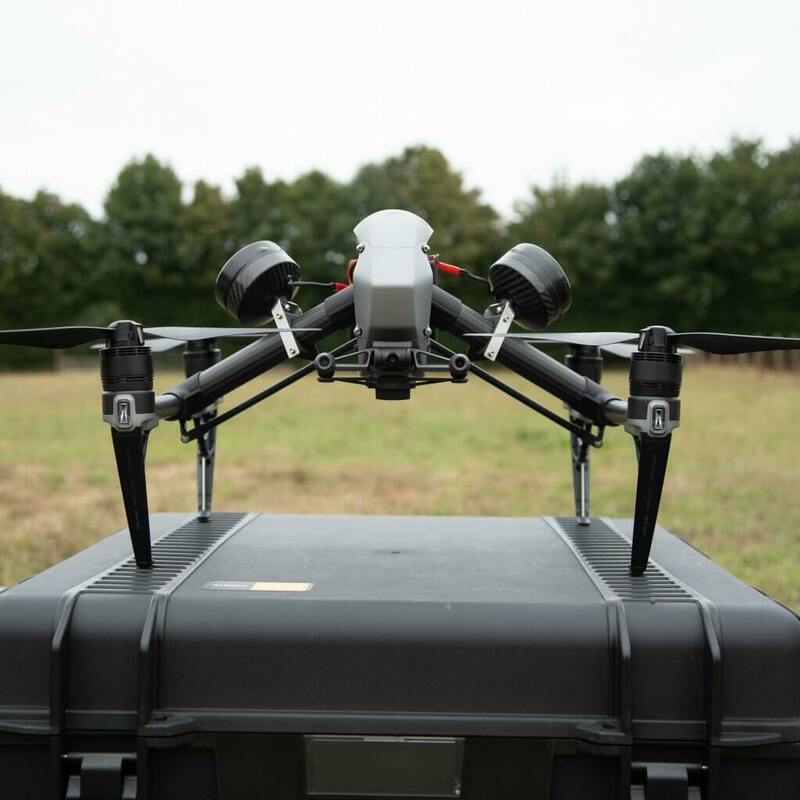 With a 24MP CMOS sensor rated at 14 stops of dynamic range the X7 means that what had to be done with a heavy lift drone can now be done with an Inspire 2. The DJI Cendence Controller is key to getting that critical shot. 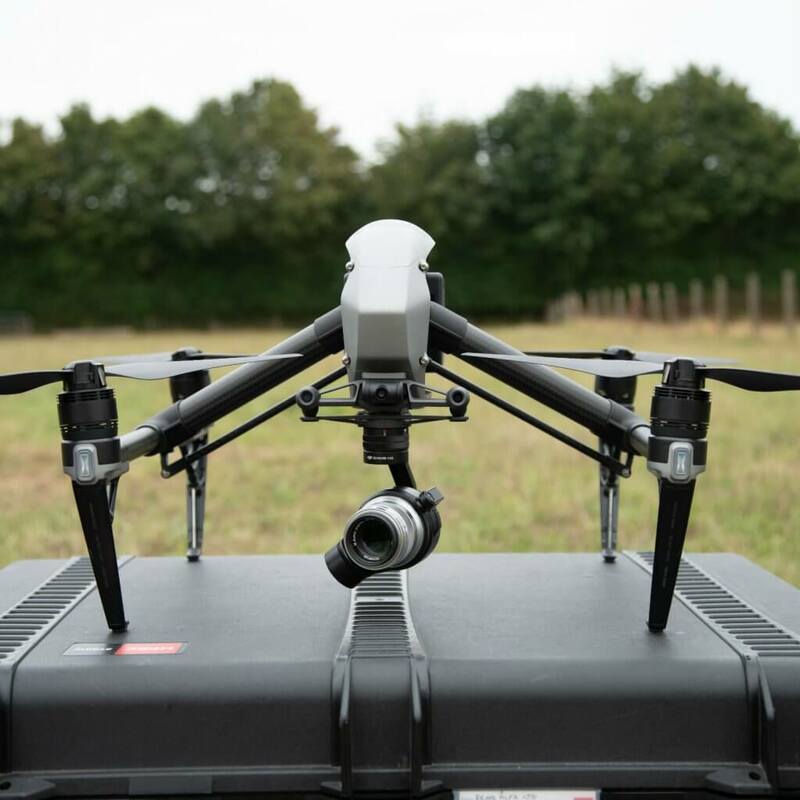 It is a fully customisable link between the pilot, camera operator and drone. All the buttons can be customised to suit each user which means we know that a crucial settings change is just a click away. For the camera operator, the Cendence Controller means that settings can be changed without taking thumbs off the sticks or eyes off the screen. When used with the CrystalSky Monitor we can shoot all day with interchangeable batteries. 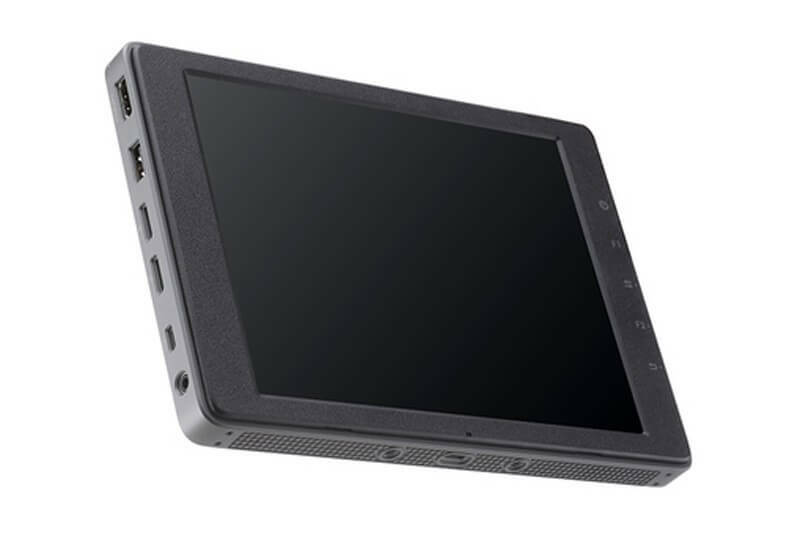 The CrystalSky Monitor attaches directly to the Cendnece Controller and provides both the pilot and the camera operator a clear 1080p low latency live view of the camera feed. What make the CrystalSky our monitor of choice is that it has a very bright screen so can be seen clearly, even in very bright sunlight. Combined with hot-swap-able batteries it means we can go on shooting all day without the worry of having to recharge.